'The United Nations is our one great hope for a peaceful and free world'. My name is Robert Stern. In 1993, I began and have since led many THIMUN affiliated International Court of Justice programs. 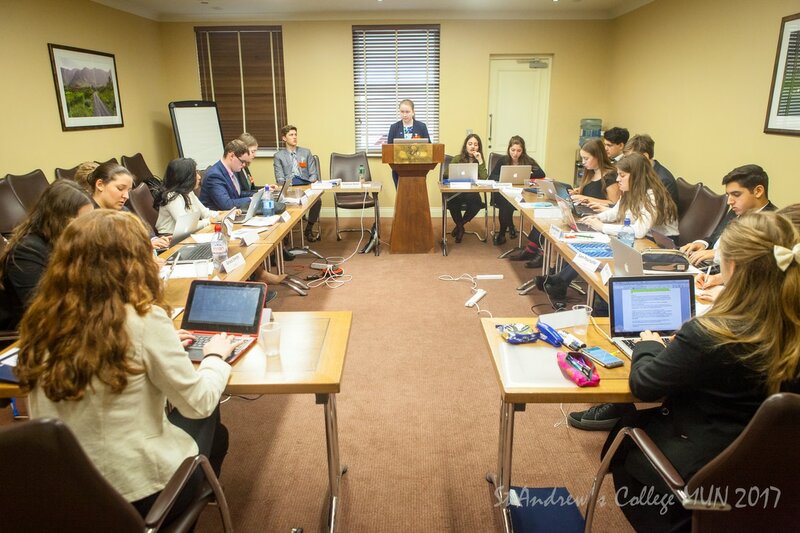 The vision of an International Court of Justice program, as part of THIMUN, came from the former Chairman of the Board of THIMUN, David Williams. He asked me, as a lawyer, if I could start such a program. I was excited to do. I wrote a BRIEF, a manual for students on trial procedure, modeled after my own experience as a trial lawyer in California. This manual is used at all my ICJ programs. The International Court of Justice is the main judicial organ of the United Nations. It was established as a body of the UN in 1945. It operates under a Statute, which forms part of the UN Charter, as well as under its own rules. It is headquartered in The Hague. ​The primary job of the Court is to settle, in accordance with international law, legal disputes submitted to it by States. It is a civil court, not a criminal court, composed of between 15 and 17 judges. Generally, countries submit themselves to the jurisdiction of the Court in a particular case, and the decision of the court is binding. Cases include boundary disputes, fishing rights, intellectual property, environmental issues, etc. MUN ICJ is a simulation of a currently pending case before the real ICJ. The advocates (2 on each side) must be well prepared and communicate with each other and opposing counsel on a regular basis. They follow regularly practiced rules of law. Each set of advocates prepares 2-3 witnesses for their side from the MUN program in proper role-play. They submit real evidence, ask direct questions of the witnesses, and they cross-examine opposing witnesses. Also, there is an opening speech, admission of evidence, questioning of the advocates by the judges, closing argument, and deliberation of judges to verdict. Then, the judges write their judgment. Students will hone all of their academic skills in this exercise---and it is an exercise, for there are no winners or losers. If you are prepared, you are a winner, despite the verdict rendered. An endless list of skills will be used, including: research skills, reading for comprehension, legal principles, writing, public speaking, organizational skills, and persuasion. I must say that I have never had a student who did not benefit from the ICJ experience, and couldn't wait to do it again. It is exhausting, 8:30 to 5:00 every day of the program, non-stop action. When it is over so many participants decide on a career in law. I am proud of MUN ICJ; but I am most proud of the students who participate in it. MUN is the finest academically related extra-curricular activity in secondary education today. Practical application, even simulated, is the key to education and one's success in the future---applying what you have learned in content and in skills. ICJ is the icing on that wonderful cake.